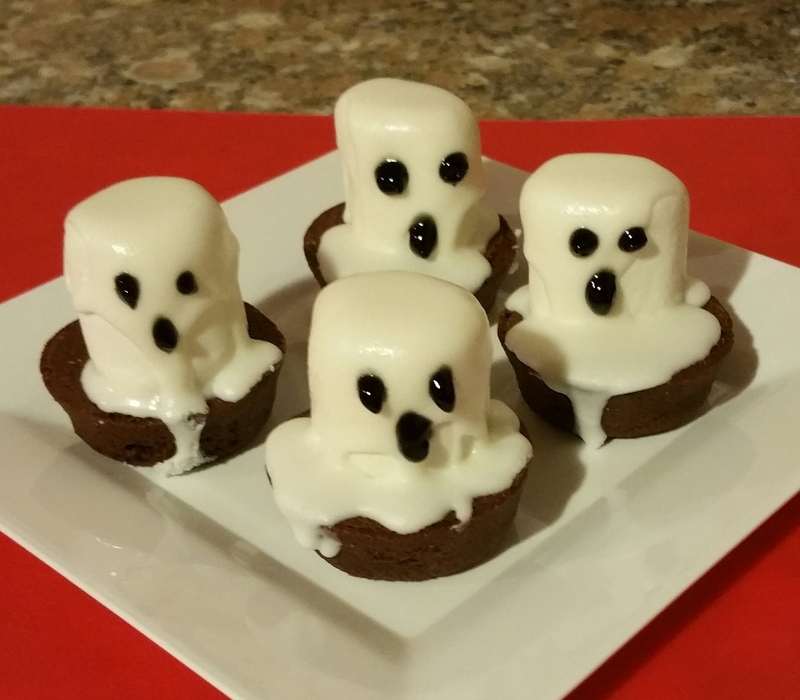 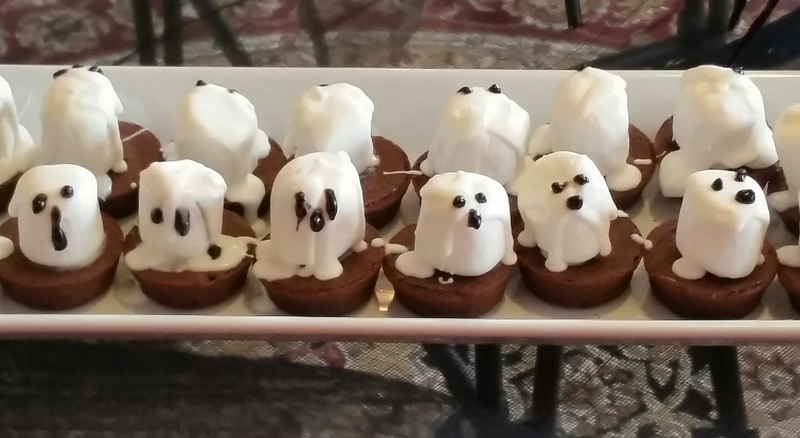 These ghostly brownies are simple, yummy and cute. Getting the faces to look exactly as you want is a little tricky, though, but the drippy faces seemed to add to the spookiness (at least that’s what I told myself). 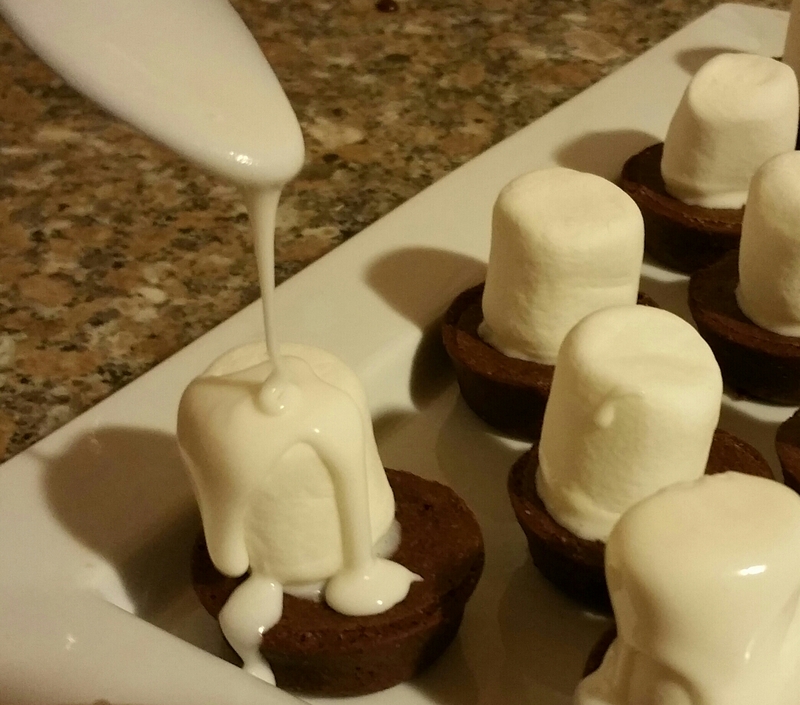 You can make your own brownies and icing, of course, but I go for the simple. 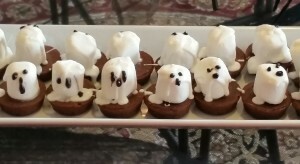 I bought brownie bites from the grocery store and used Betty Crocker Classic White canned frosting, and they were yummy. Put brownie bites on serving platter. 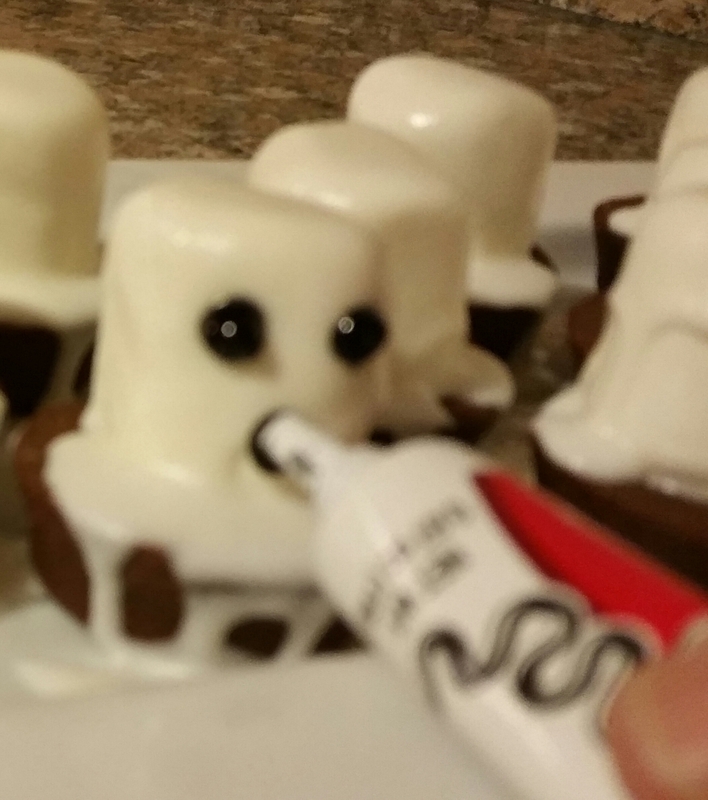 seconds to make it runny. 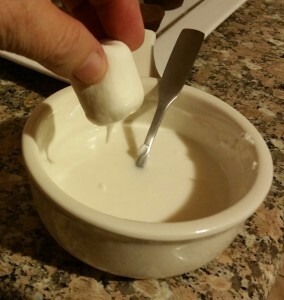 Drizzle a spoonful of the icing over the marshmallow, allowing it to run down over the sides. Use black frosting gel to add eyes and a mouth.